Ever since making the DIY Stemmed Cherry Blossoms, I can’t help but want to create more DIY decor with artificial flowers. I never use to like artificial flowers, I thought they looked stuffy and uninspired. Now I can’t help but wonder why it has taken me so long to realize the beauty and opportunity that lies with using artificial flowers in DIY projects. So with my new founded love for artificial flowers taking bloom – pardon the pun – I headed out to see what I could find at a relatively low price. 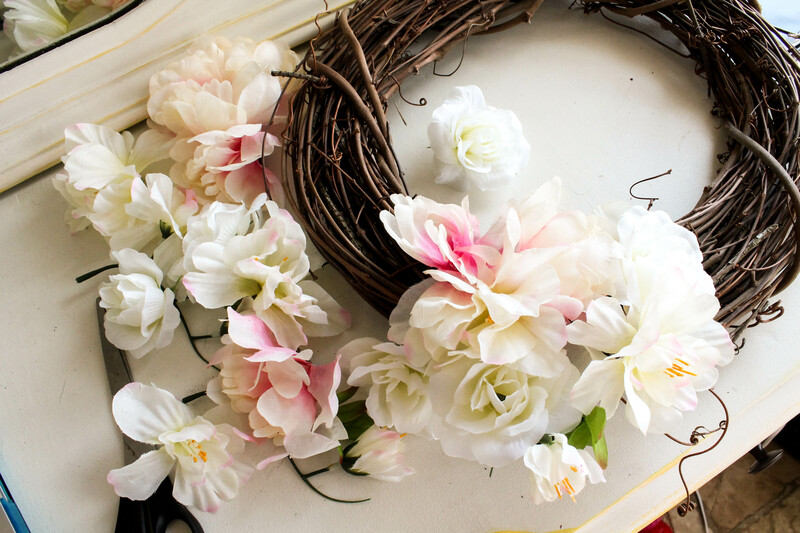 I knew I wanted to create a Spring Flower Wreath and I knew I wanted it to be under $10, so I headed to the Dollar Tree first. Although I found some pretty artificial flowers, I was sad to discover that they did not have any pretty wreaths. 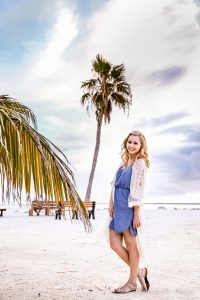 Last year they had a variety – some that looked like the one I used for this project and others that were a lighter color. I then headed to Walmart where I found another pretty stem of artificial flowers for only $0.99. I was going to buy the wreath at Walmart, but then decided to use the 40% off coupon on my phone at Hobby Lobby. This meant that I bought 2 $1.00 stems of artificial flowers at the Dollar Tree, 1 $0.99 stem of artificial flowers at Walmart, and 1 wreath for about $3.99 at Hobby Lobby. 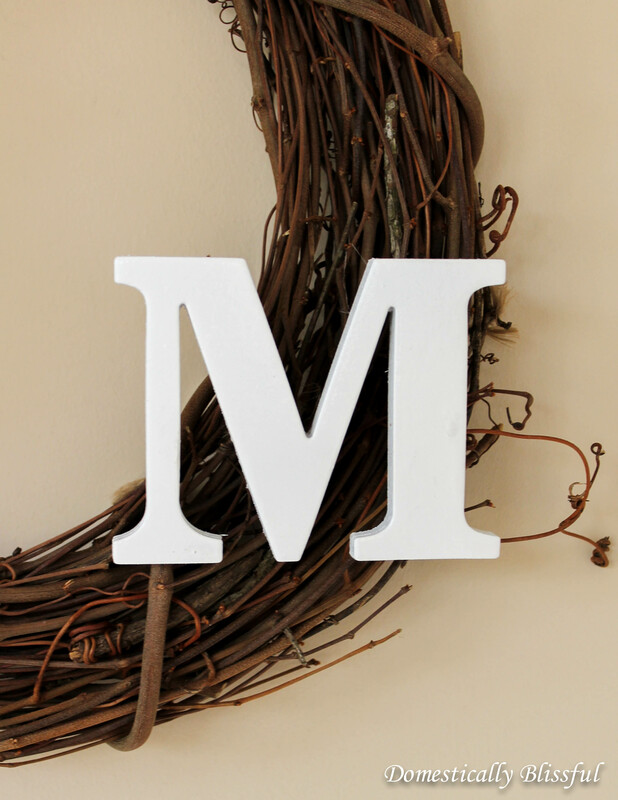 The wooden letter “M” I found in my craft supplies at home but you could get something similar at Hobby Lobby or maybe even Walmart. The spray paint I also bought at Walmart – the cheapest white they had – I think it was about $1.00. I must admit that I am pretty excited at how inexpensive this project turned out to be! 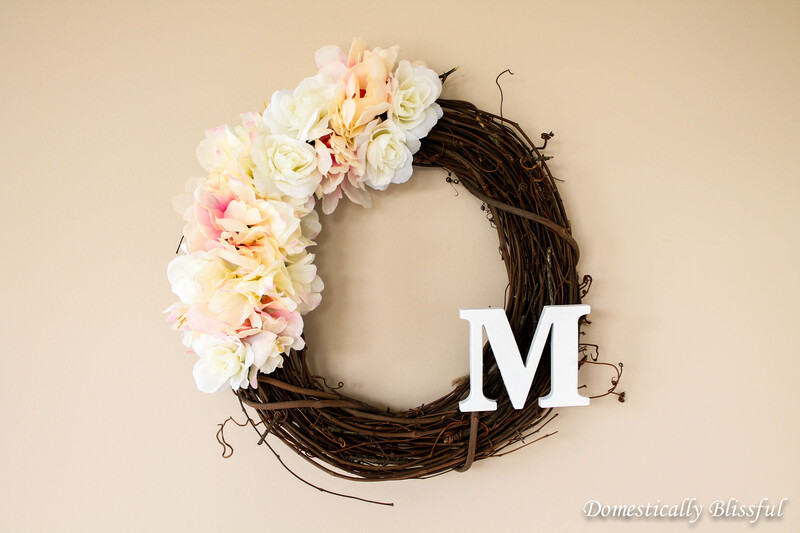 First, if you are using a wooden letter on your wreath and you are not happy with the color you can give it a few coats of spray paint. To do this I pushed thumb tacks into the base of the letter, placed it face up on a large plastic bag (outside), and gave it a few coats of spray paint – letting it dry between the coats. Also, if it’s windy outside make sure the bag is secure and won’t blow onto your freshly painted letter – I learned this the hard way! 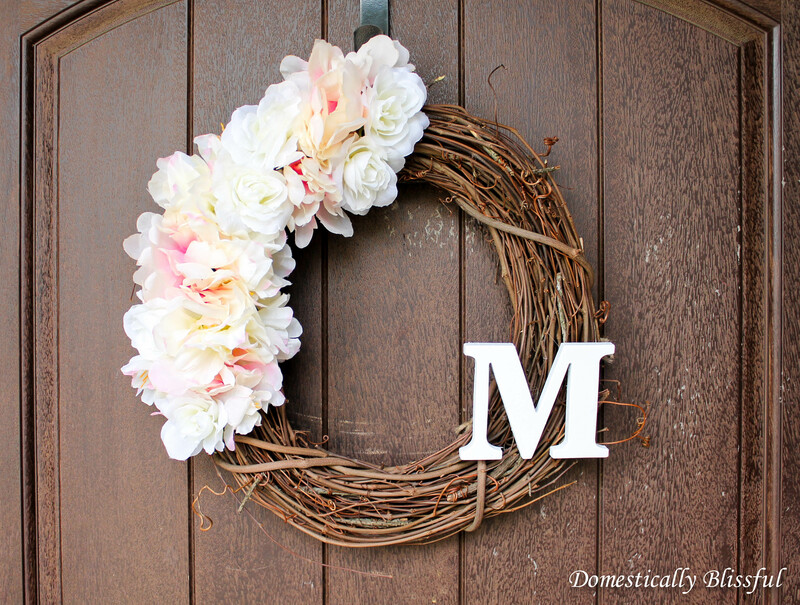 Cut the flowers off of their stems, then decide how you want to arrange them to your wreath and hot glue them on. Once your letter is dry cut two pieces of twine about 5-10 inches long, fold them in half, then glue the middle of each twine to opposite sides of the letter. Poke the twine through the branches of the wreath and time them in a knot – securing the letter to the wreath. 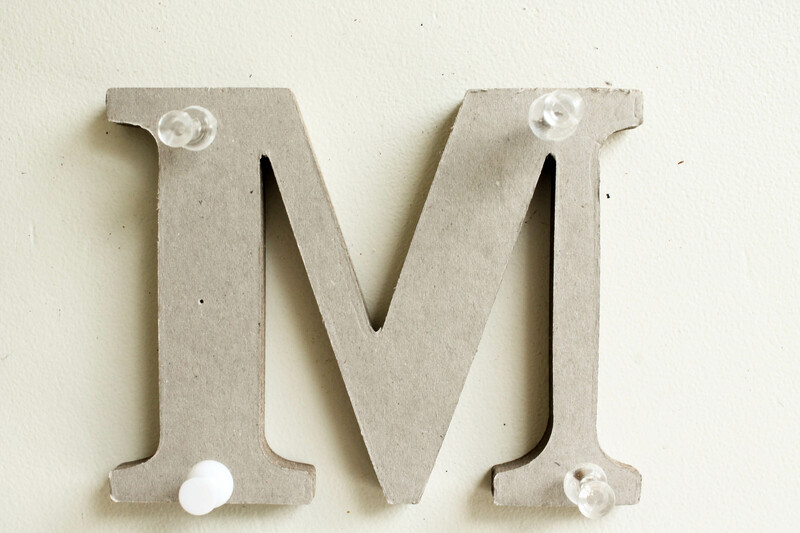 You could glue the letter to your wreath but I like having the ability to change it out and adjust it as I see fit. 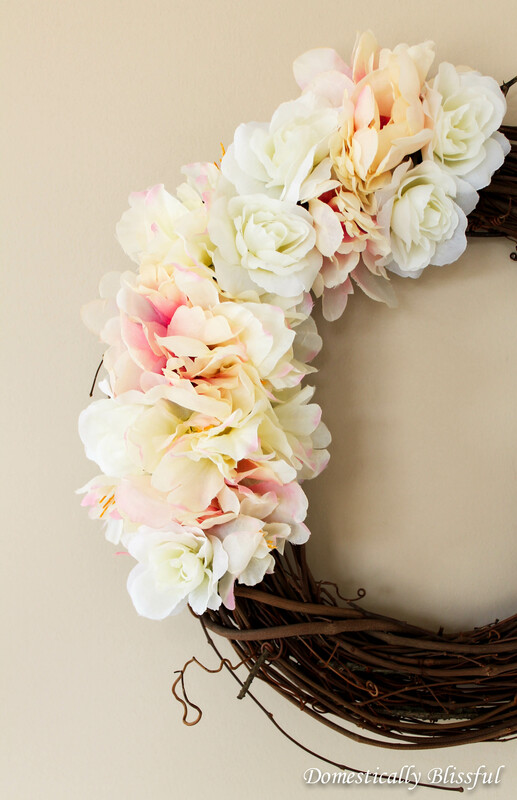 Hang your new Spring Flower Wreath on a door, mirror, inside a frame, or at a spring baby or wedding shower.